To get things started we have, "Stand Up" which is ultra smooth with it's beats and rhythms, along with melodic memorable guitar work, with refreshing and charming vocals, all delivered with style! Single "Free Thought" has great catchy hooks and an classic rock vibe, but with a upbeat modern twist, making it a perfect choice for a single and his creative sound offers something a bit different, which is always nice to see..
"Powerful" immediately highlights Hakhi's guitar skills yet again, with ambient and bouncy riffs throughout, with equally powerful compelling vocals to accompany..
"Labyrinths Within" helps to show off the sheer diversity offered further..with this being a more pop funk inspired number, that is very soulful and strong, again exhibiting some brilliant ambient solo guitar with bluesy rhythms..like a 'maze' this is complex, and one where you could easily lose yourself in the music.. Following on finely, to strip things back a bit and offer a slower pace, "Shadow's Way" uses softer guitars and sweltering vocals, with have hints of blues, and soulful rock. This is a stand out track, which is one to let wash over you and get engulfed in! Everything is effectively placed, in terms of structure and the use of backing vocals for more emphasis and depth. "Are You Alive" is highly resonant, with the use of effects on the vocals and guitars, and again demonstrates his exceptional guitar skills, along with brilliant harmonies, as well as his remarkable musicianship and ability to deliver sublime lyrics, that are executed with such passionate and heart; something there is no shortage of on the entirety of the album! "Live Again" is well positioned following the previous song. This is one of my favourites, having a high energy rock alternative sound, which grabs you instantly! Hakhi explores more-so with his varied flawless vocals to match the mood and vibe of the track - which he does in an optimistic fast fun manner! "Sell, Sell, Sell" opens on a somewhat sinister guitar hook, and in the chorus we see Hakhi use lower vocal pitches for impact, in what is a very repetitive chorus, which is perhaps a nod to punk, in terms of musical structure and delivery, that along with the killer sombre guitars, makes this the most dark song featured. "Gimme Love" again is in keeping with the previous tone, this has a almost gloomy rock 'n' roll vibe which hits hard in a short amount of time! Final song, "Persevere" sets the scene with an informative intro that tells us about the human mind, making it thought provoking...with more talking featured, over beautiful soft vocals and quiet guitars, which is all very stripped down, before the instruments start to pick up in this real, and motivational number! It progresses well instrumentally and helps with the context of the song, and to end things in style, we are treated to the best solo guitar work yet, where Hakhi let's loose with insane results, ending things on a hard hitting and powerful note! SmarkBlackKid is an truly innovative and skilled musician who puts his heart and soul into all of his songs, and explores numerous genres in a slick and almost effortless way! 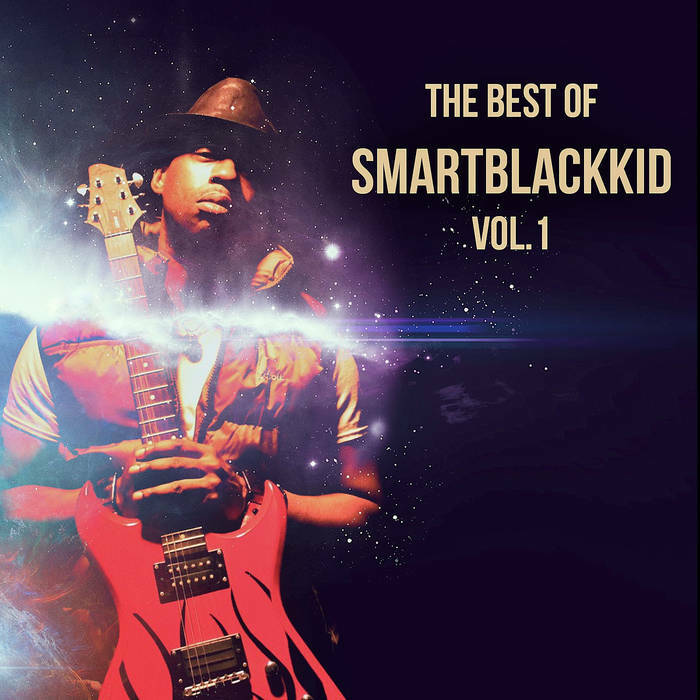 There is something for everyone on this album, and there is no doubt that SmartBlackKid can conquer all genres! The whole collection of songs is vibrant, refreshing, creative and overall enjoyable! What a musical gem to discover, that genuinely shines through with passion, craftsmanship and professionalism, and explores a plethora of genres, all the while maintaining his own signature sound! SKINDRED: New single, "Under Attack" released!